Patients wishing to attend are asked to notify Amy Jenkins via email at amy.jenkins@childrensal.org. Register here. Please register by April 15th. 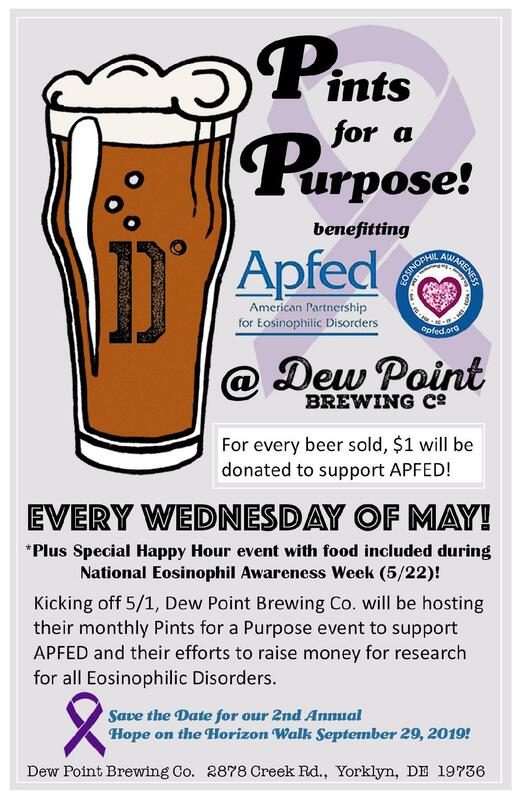 Every Wednesday During May PLUS A Special Happy Hour Event on 5/22 to Mark National Eosinophil Awareness Week! 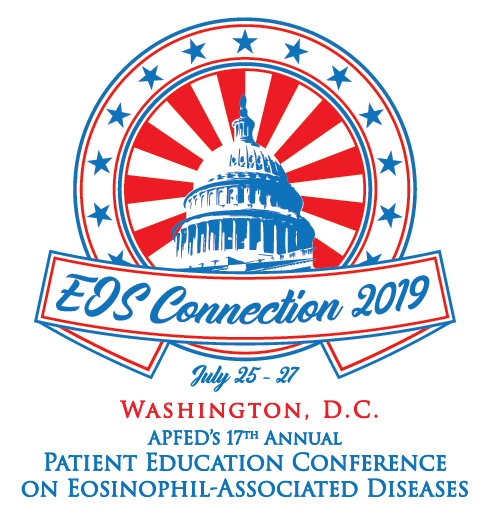 Join APFED and members of the PPMNE in Washington, DC as we educate congressional staff about medical foods and the Medical Nutrition Equity Act. 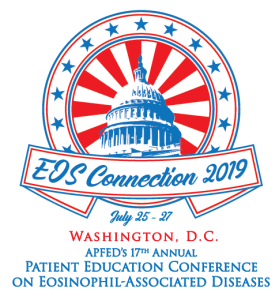 Register online at https://www.surveymonkey.com/r/R9YGYYZ by APRIL 5 and select American Partnership for Eosinophilic Disorders in the dropdown box of organizations whom you will be representing onsite. We’d love to have you join us!